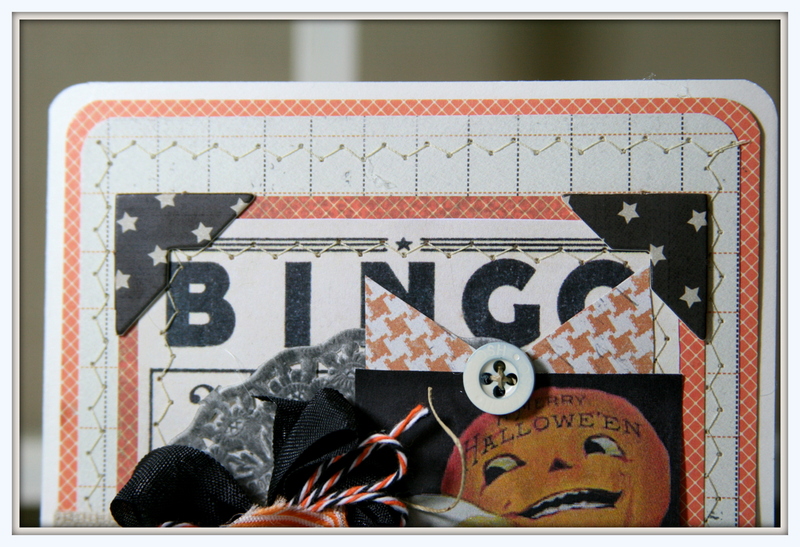 I figured while I had all the Halloween supplies out I may as well keep on working and get ahead for the holiday. Can anyone tell I love Halloween?? 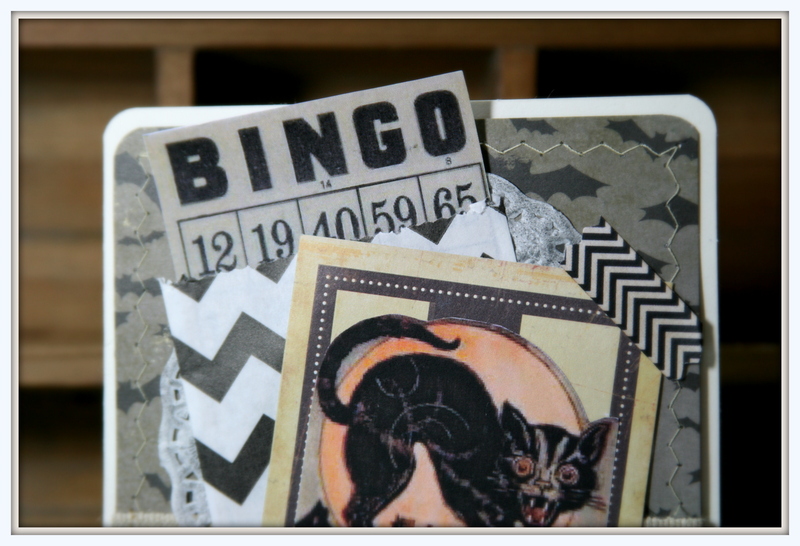 Materials I used for the cards…..
Papers from My Mind’s Eye and some from the stash. Loads of buttons chipboard and brads. 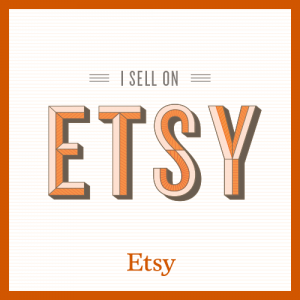 I’ve listed these in the etsy shop. Click o the link to check out the details. Wow…okay…so that was a lot of pictures I will say I am so dedicated that I worked through rainstorms and power outages to get these done before I left the shop. Papers from My Mind’s Eye, Crate, and Pink Paislee. Hope you all enjoyed this extra long post lol. It’s funny just a few minutes ago a customer came into the shop and saw my work table and asked we had a party in here last night. Oh my…guess I better get to cleaning before I start any new projects!!! 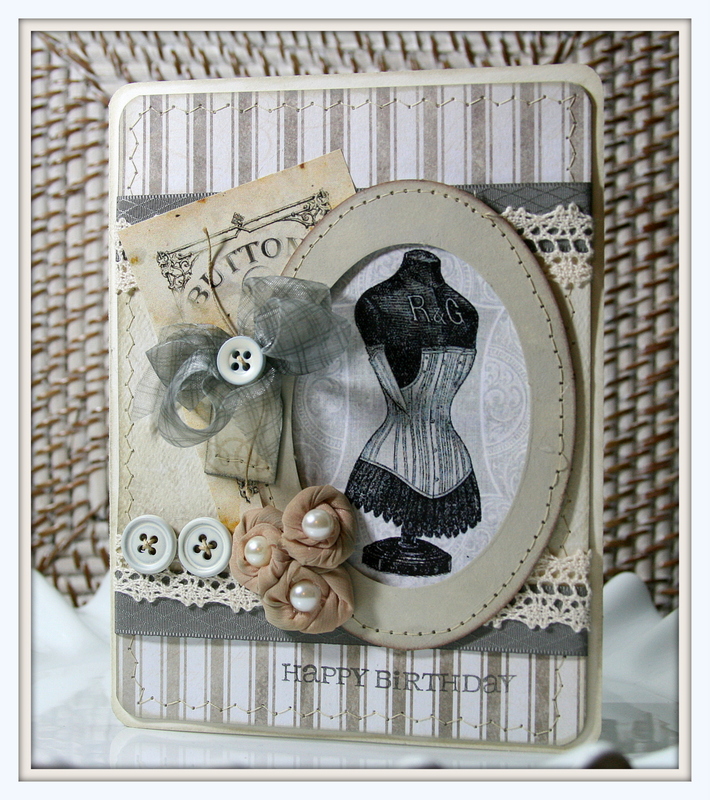 For this card I ran a sheet through and printed a background…then back through again to print the dress form. It looks a bit like a piece from an ephemera set I think. 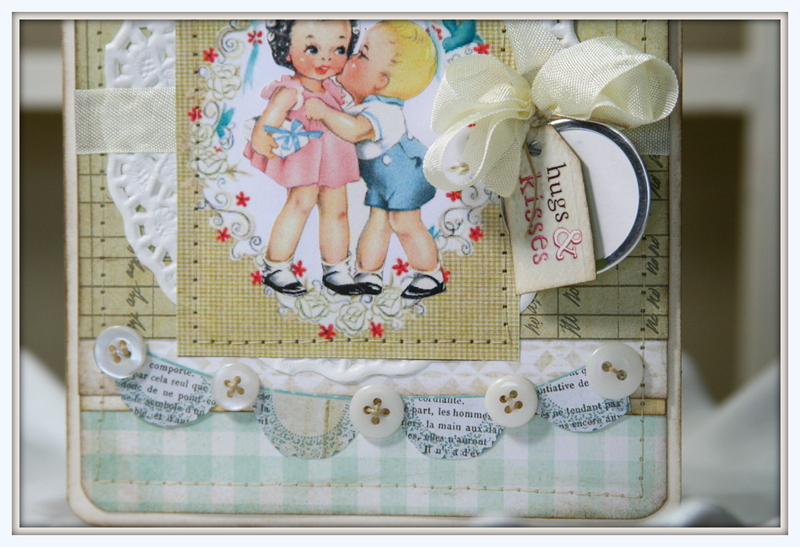 For this projects I used…..
Vintage images from Graphic’s Fairy. 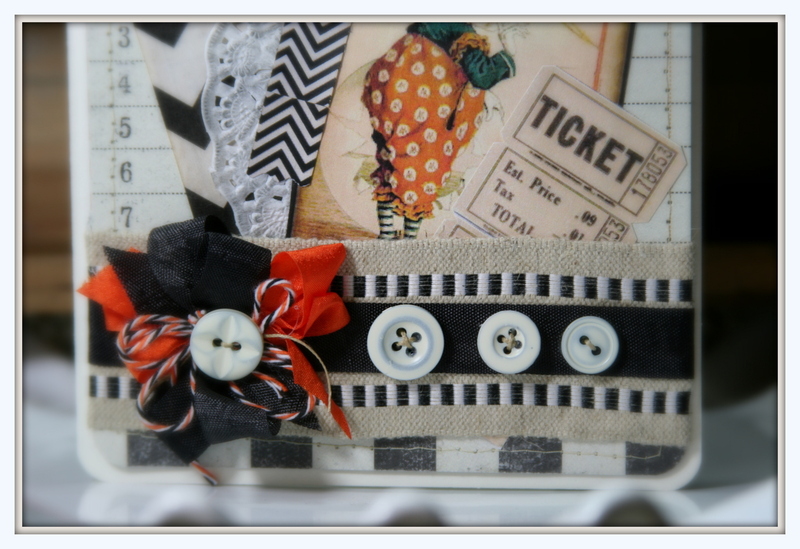 Ribbon and lace from Really Reasonable Ribbon. Paper from My Mind’s Eye and Crate. 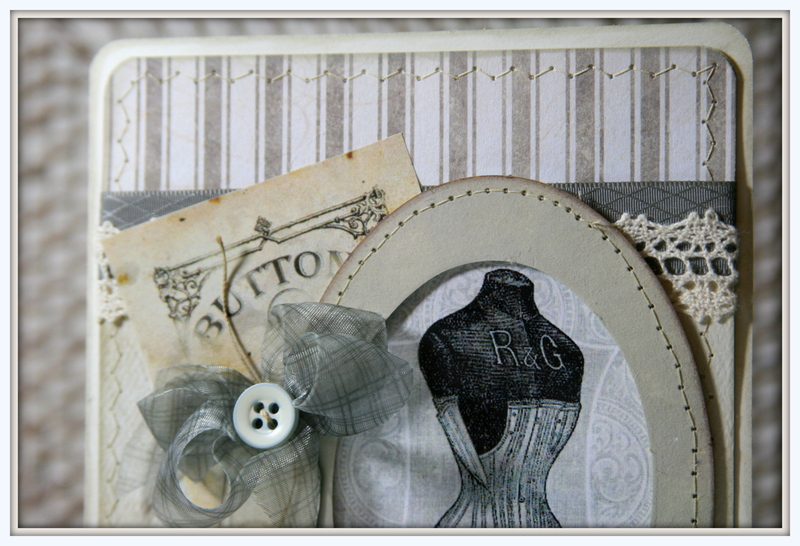 Assorted buttons and handmade flowers. I’m enjoying myself a nice cup of Traverse City cherry coffee and listening to the rain on the roof here at the shop. Thank goodness…we have needed the rain so desperately. I was pretty preoccupied yesterday working on my project for the guest DT spot. I can not wait to share it with you. Unfortunately we’ll have to wait until next month lol. 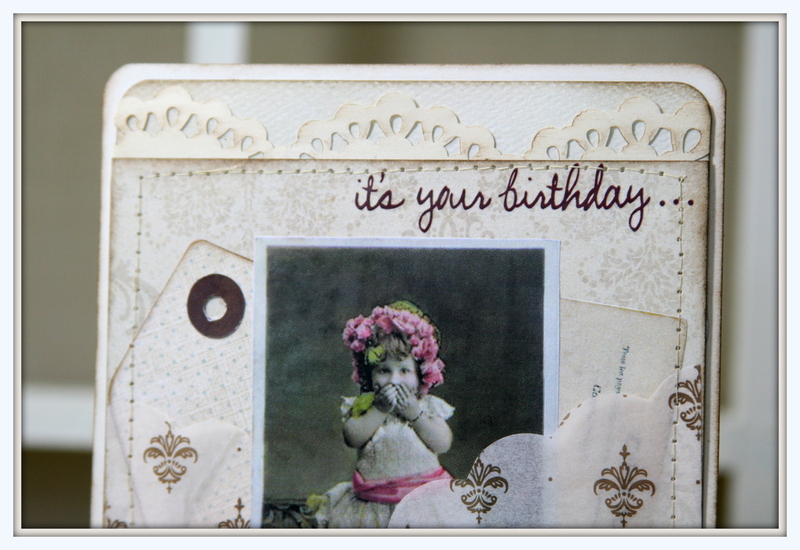 Until then….I do have another sweet birthday card to share. These little kiddos are too adorable! 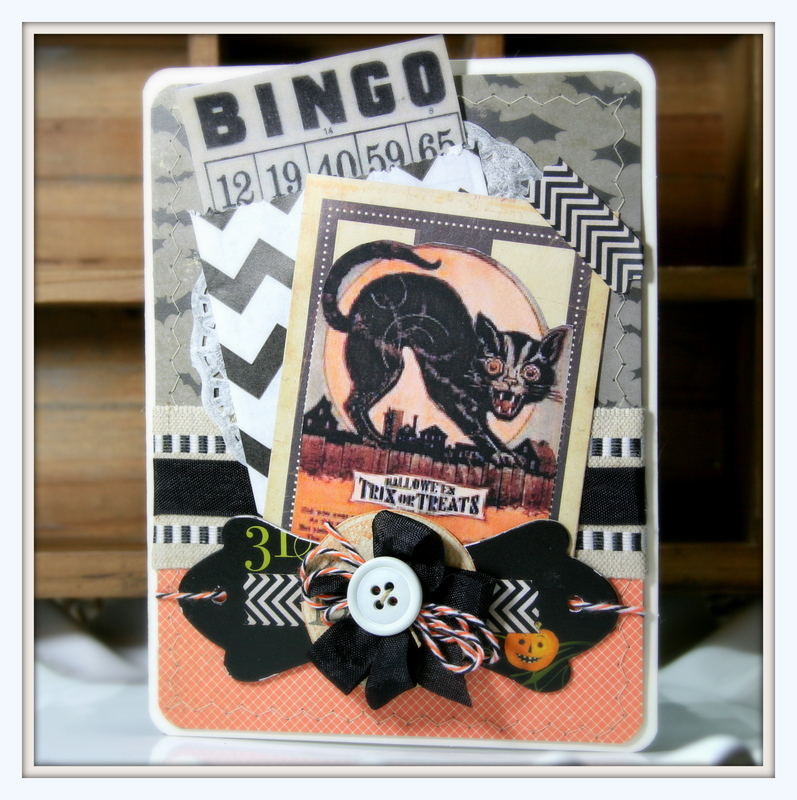 For this card I used …. 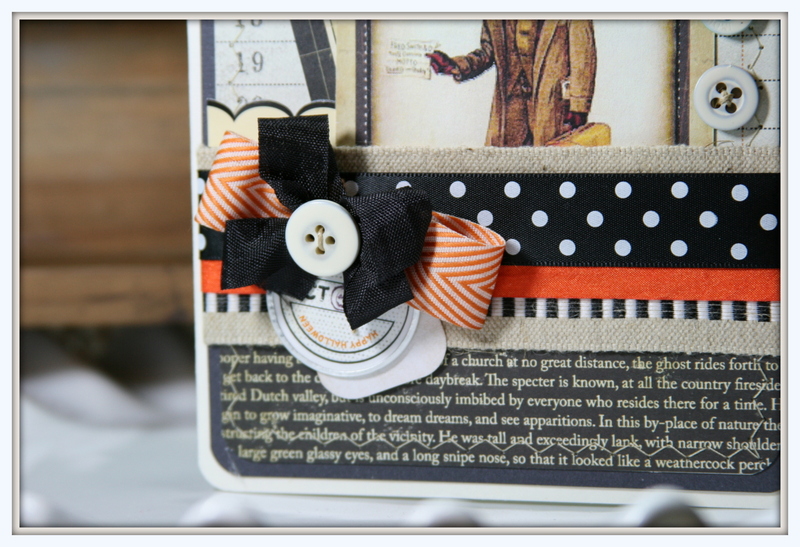 Seam binding from Really Reasonable Ribbon. Paper from My Minds Eye and Crate. 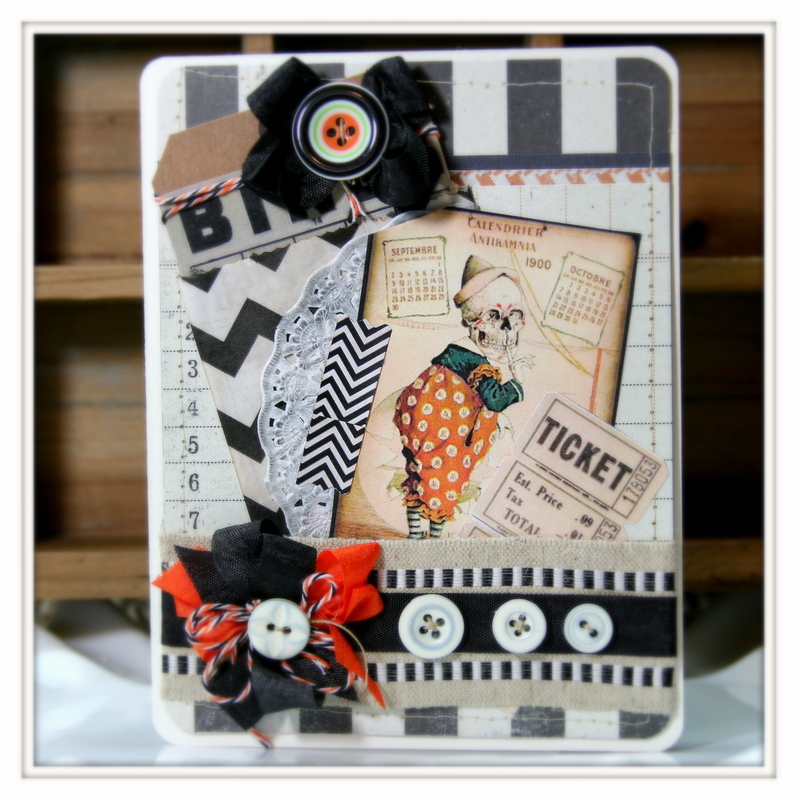 Assorted vintage images…buttons, pompoms, and rubon sentiments. Walnut Distress Ink from Tim Holtz. Okay…looking forward to finishing up some “worky” stuff…then back to playing paper. Hopefully I will be productive after being tired from staying out late to watch the new Batman movie on our Family Fun Date last night. I give it 4 out of 5 stars by the way lol. My Sweetie brought in the mail when he came home from work yesterday and GUESS WHAT I GOT???? 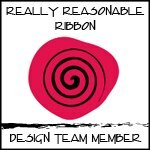 My order from Really Reasonable Ribbon : ) Yayy Woo Hoo. Good thing I didn’t know it was there earlier…or I would have never gotten any work done heehee. 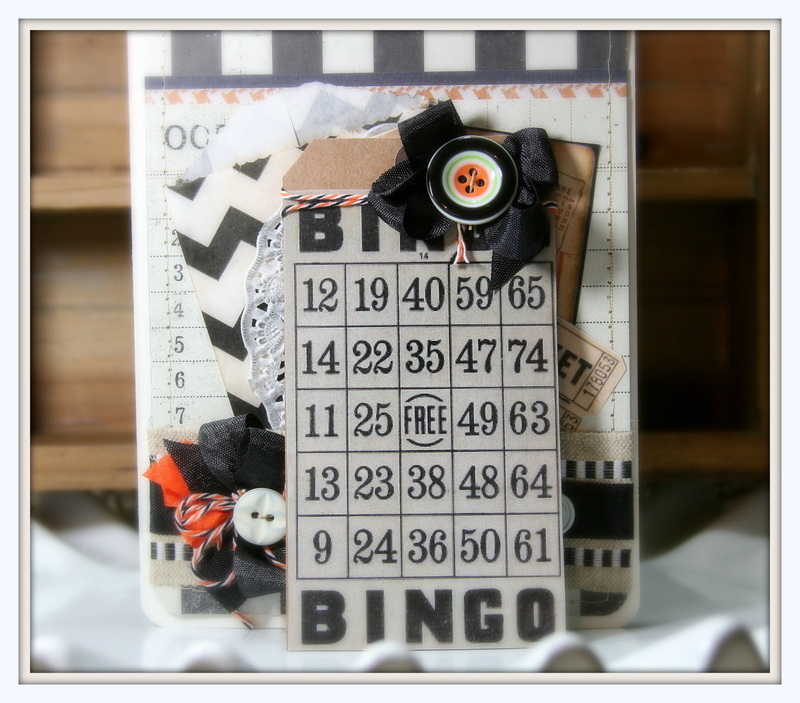 So that’s like 120 yards+ the Purple August ribbon club assortment and 30 bitty bags. I AM SWOONING. 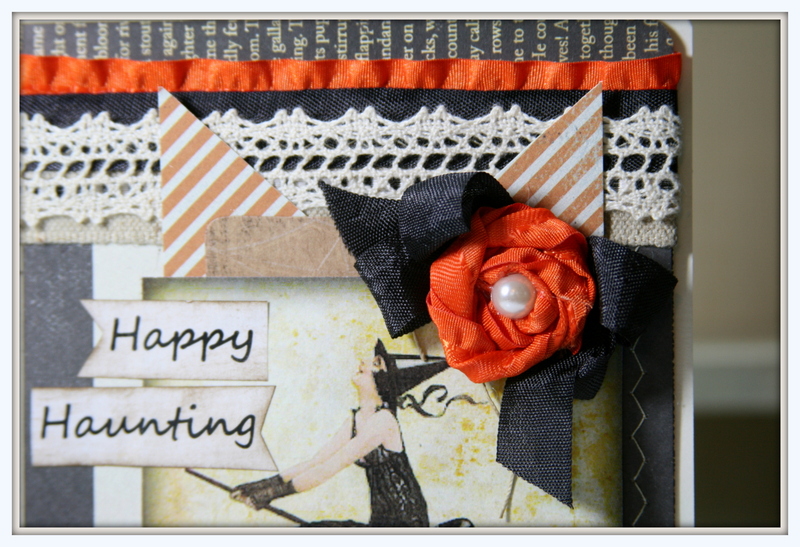 I get to add this to my already large selection I have from RRR of my favorite seam binding for cards and projects. I’ll be taking this to the shop today and hopefully I won’t have to fight off Jane for them haha. 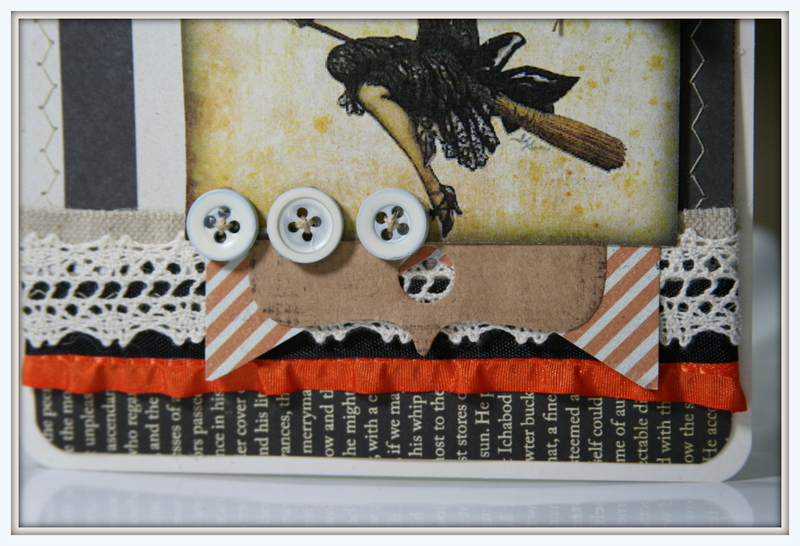 I choose a few burlap, a few lace, many seam binding, some wrinkle ribbon, chevron, twine, Halloween, bitty bags ( can’t wait to use those), netting, ruffles, and the ribbon club assortment that I will be using for one of my Guest Design Team posts. 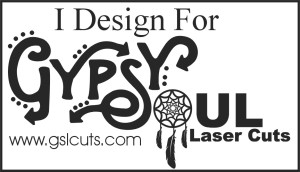 If you haven’t had a chance to check them out ….you will be pleasantly surprised at how great their prices are…and huge selection. They ship the same or next day…I was surprised at how quickly my order arrived. Okay…off to get ready to run to the post office then work. I’ll be in a big ol happy camper ribbon pile before you know it! Hope you all have a wonderful day and find some time to be creative. 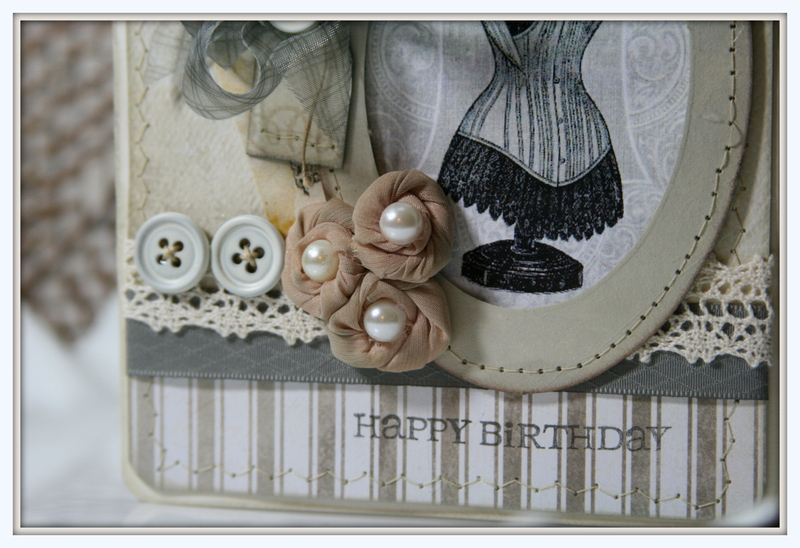 Just popping in to share some sweet birthday cards I created in the shop yesterday. 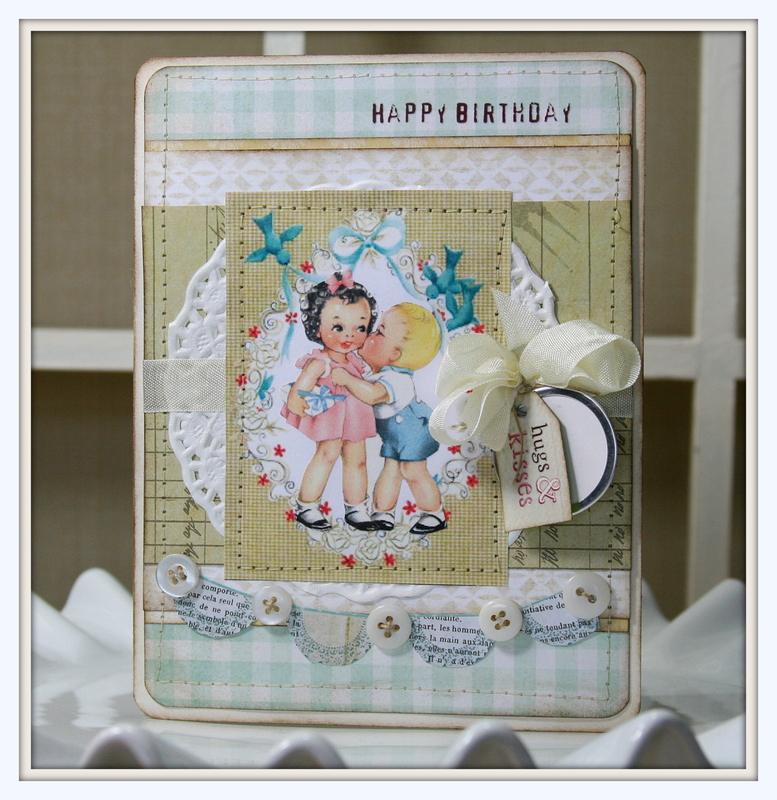 This chipper and cheerful retro styled card has loads of paper layers and vintage images. 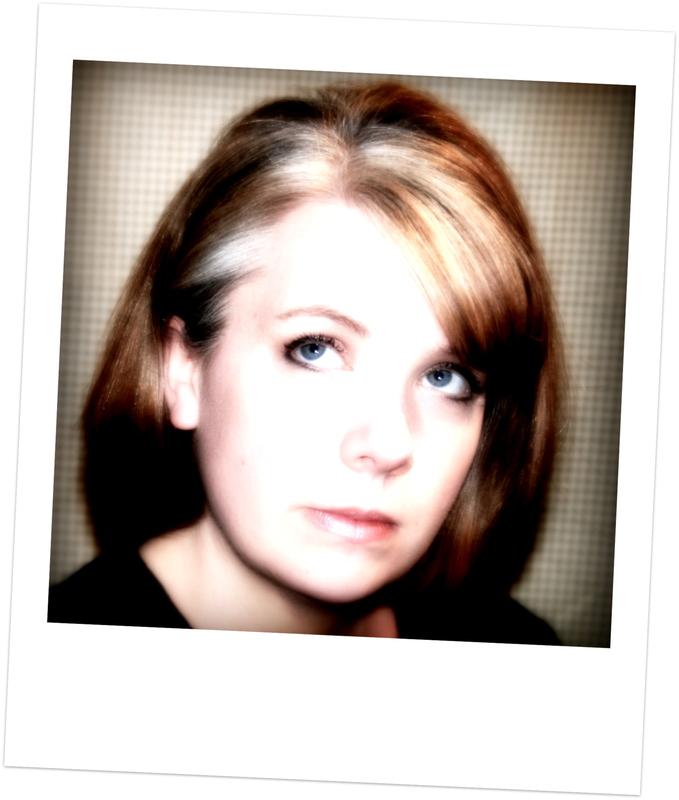 I used papers from My Mind’s Eye and Pink Pailsee. 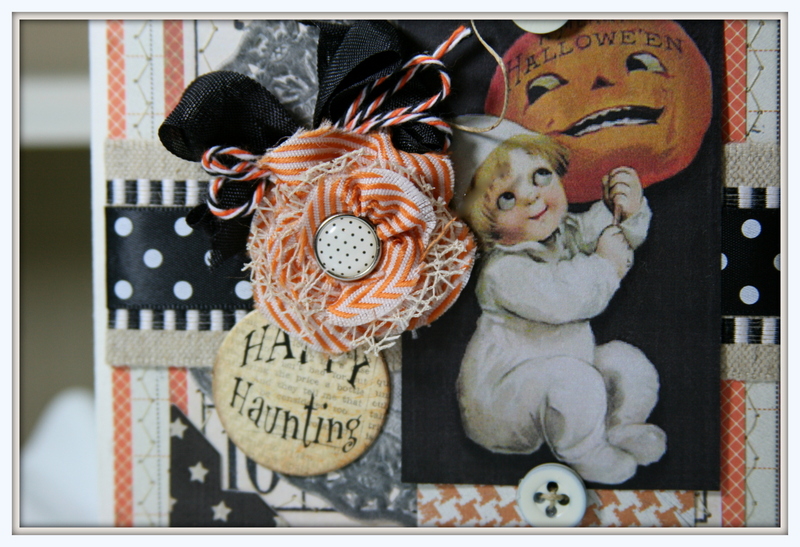 The banner with buttons makes for a festive detail. 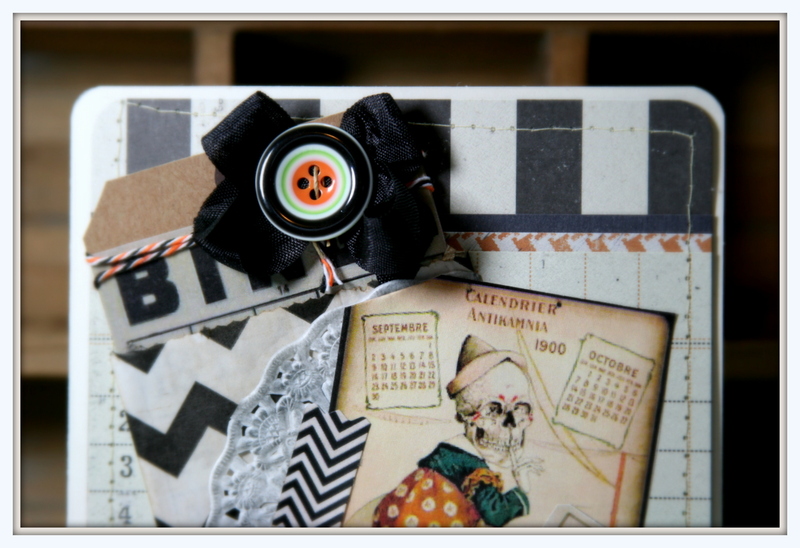 I’ve also included a double layer of tags to the bow I created with RRR seam binding. 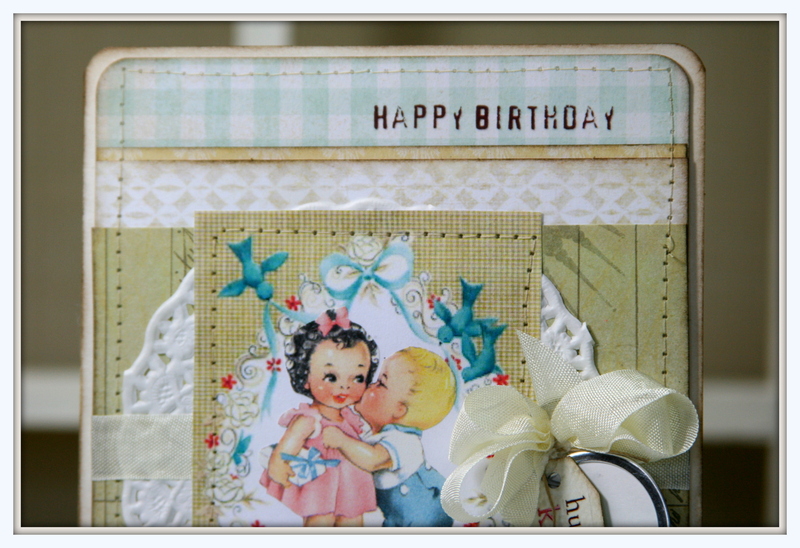 I was able to add a rubon birthday sentiment to the top and tag. 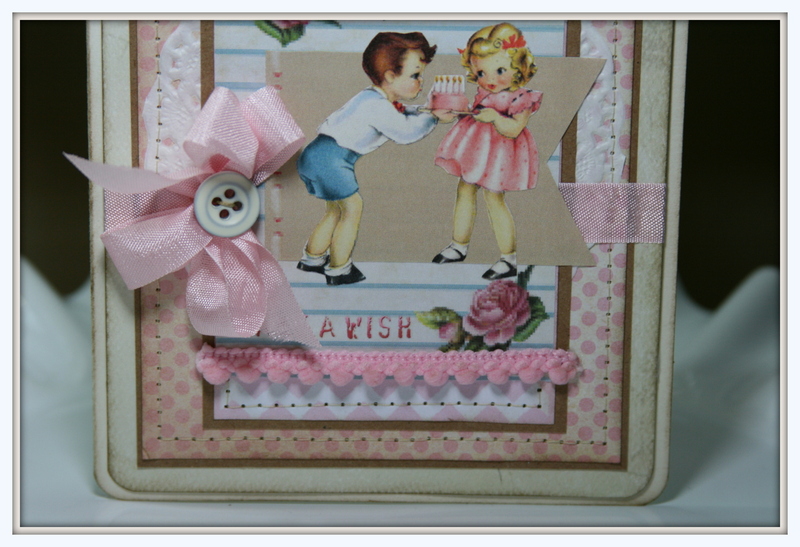 A double layer of stitching for fun. 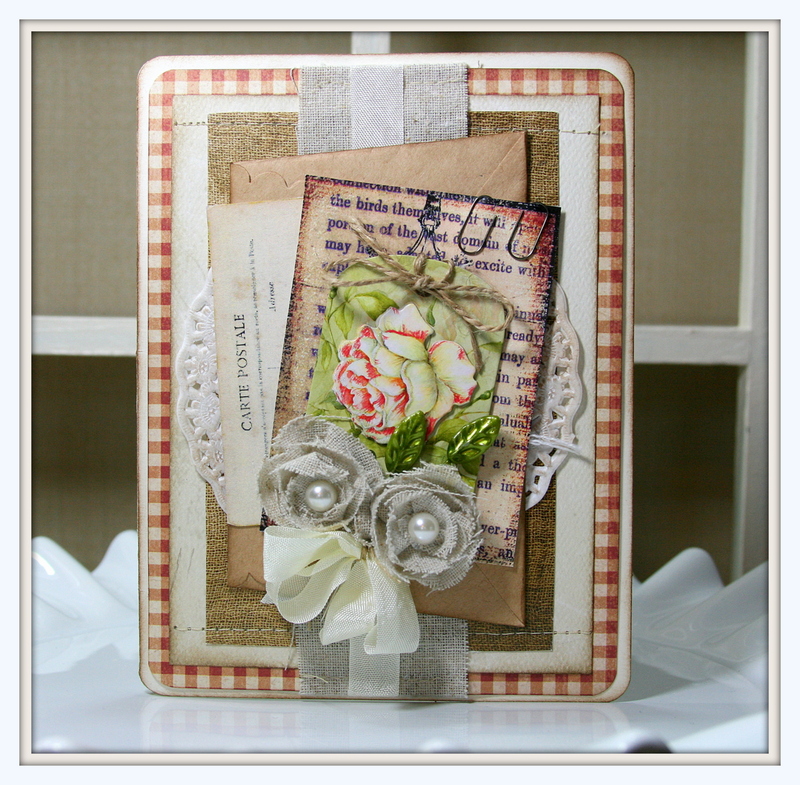 A nice poofy bow…large dimensional flower and vintage buttons on burlap are nice neutral accents. 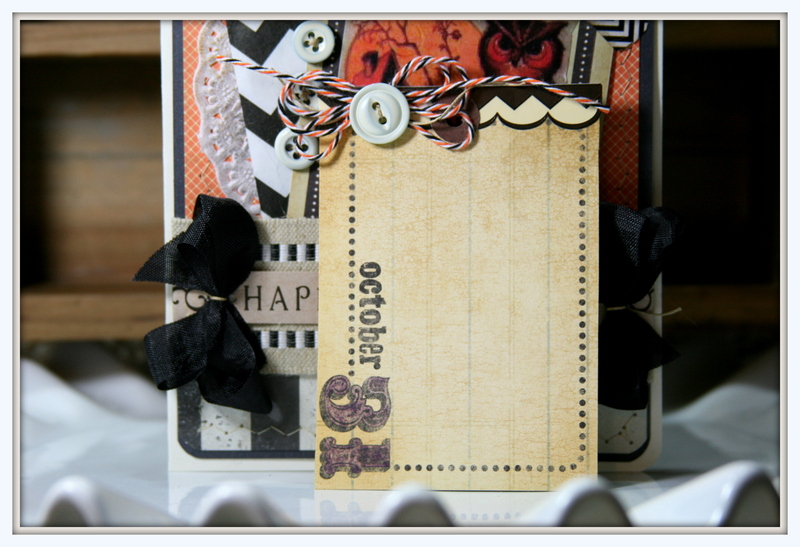 Another rubon with a script sentiment and a paper lace edge to finish off the pretty card. Can’t stay to chat…getting caught up on house work . 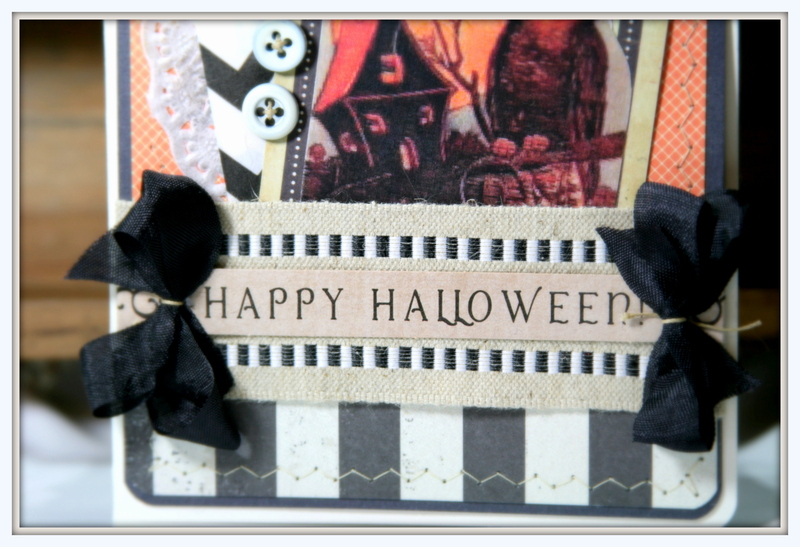 Hope you all have a wonderful day and enjoy some time to be creative. I was a busy little bee in the shop yesterday. 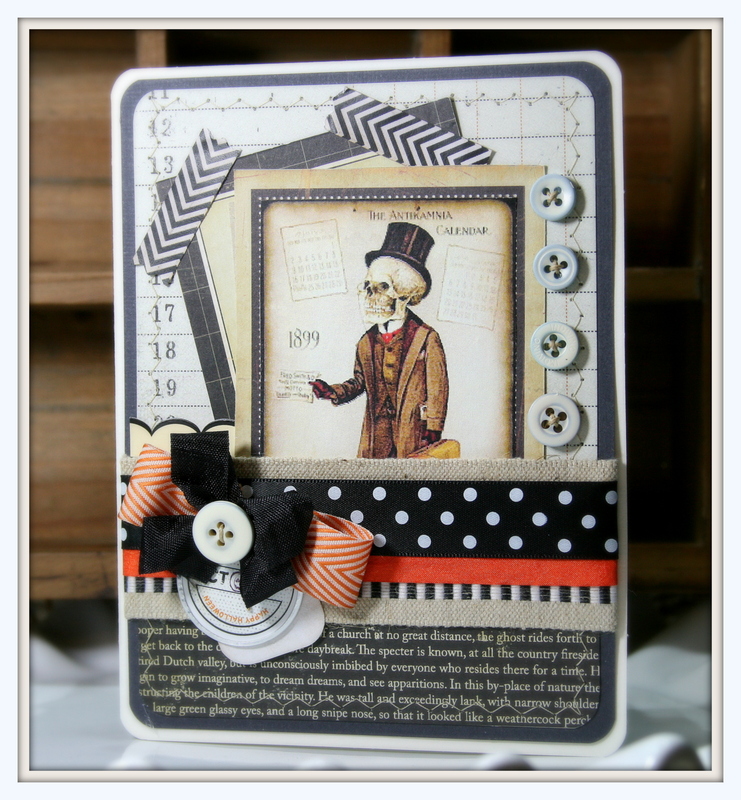 I finished 3 lovely cards and got all the “grown up” work done too! 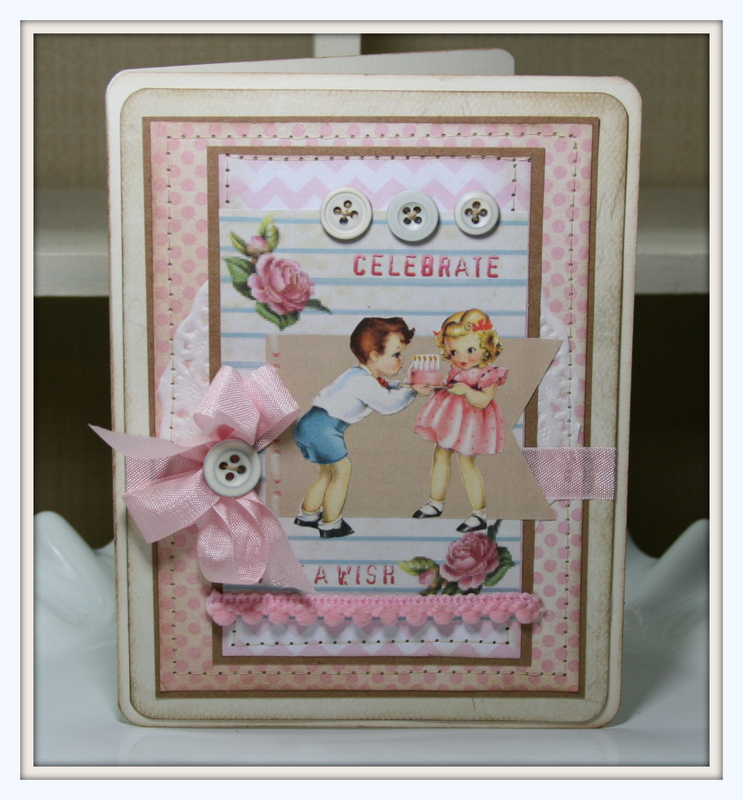 This card has papers from Graphic 45 and a die cut element from Glitz. I’m getting pretty quick at making these burlap flowers. 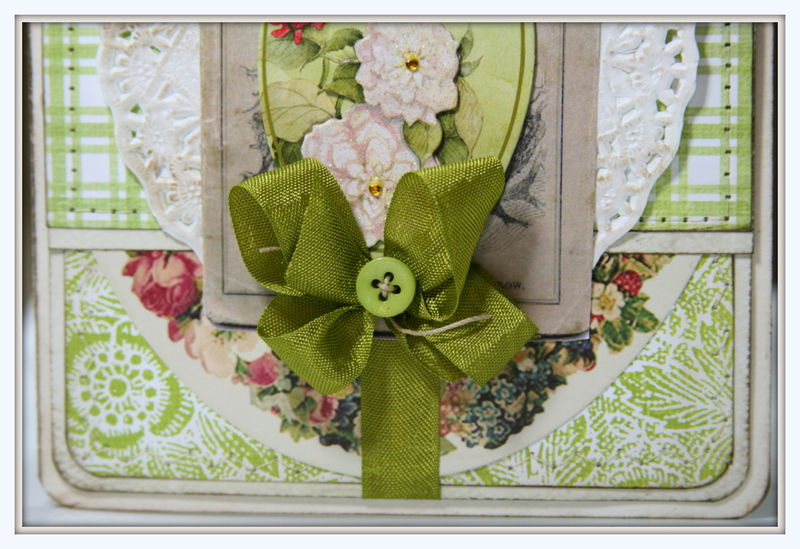 I added 2 leaf headed pins from Maya Road and a generous poofy bow made from RRR seam binding. 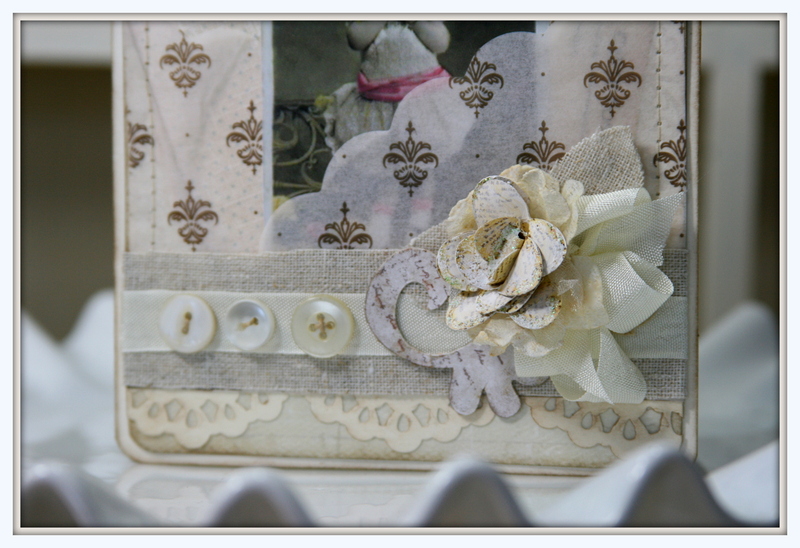 Pearls top off the flowers….nice change from buttons. 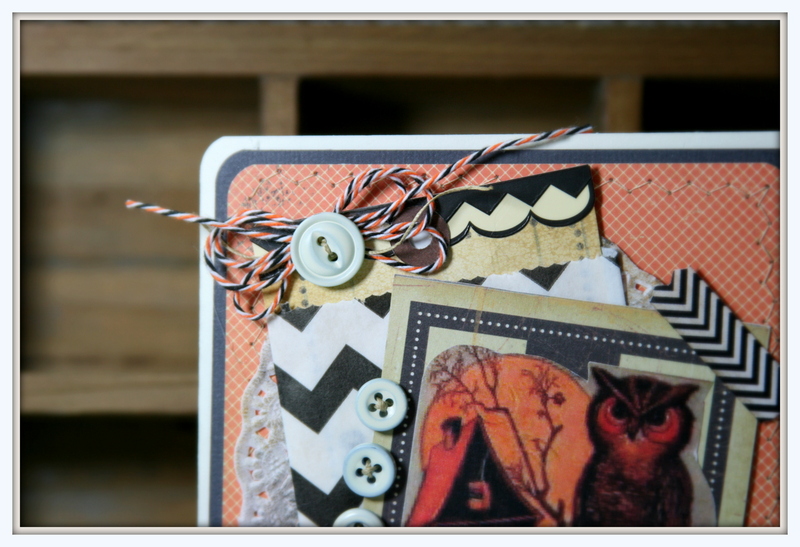 I added a bit of twine to the dimensional tag sticker…then layered it over several vintage images. 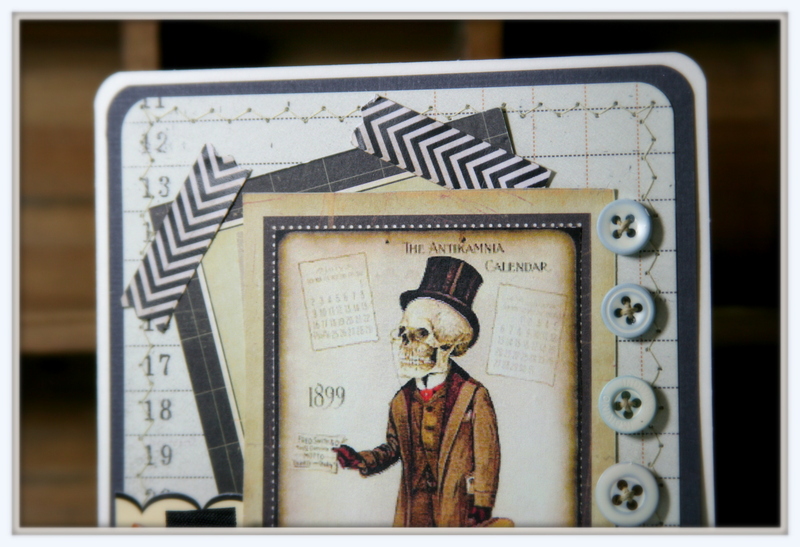 The post card is from Graphic’s Fairy. 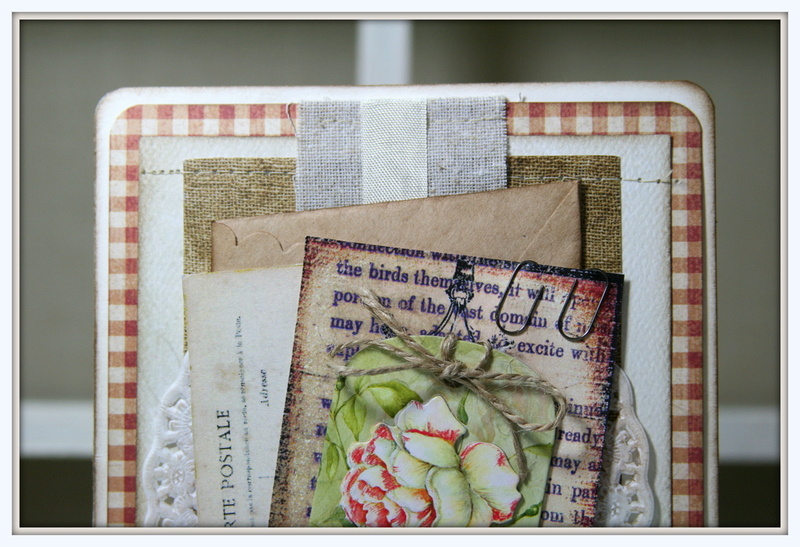 There’s also a Maya Road tiny craft envelope and of course more burlap. I stitched up all the layers for detail. 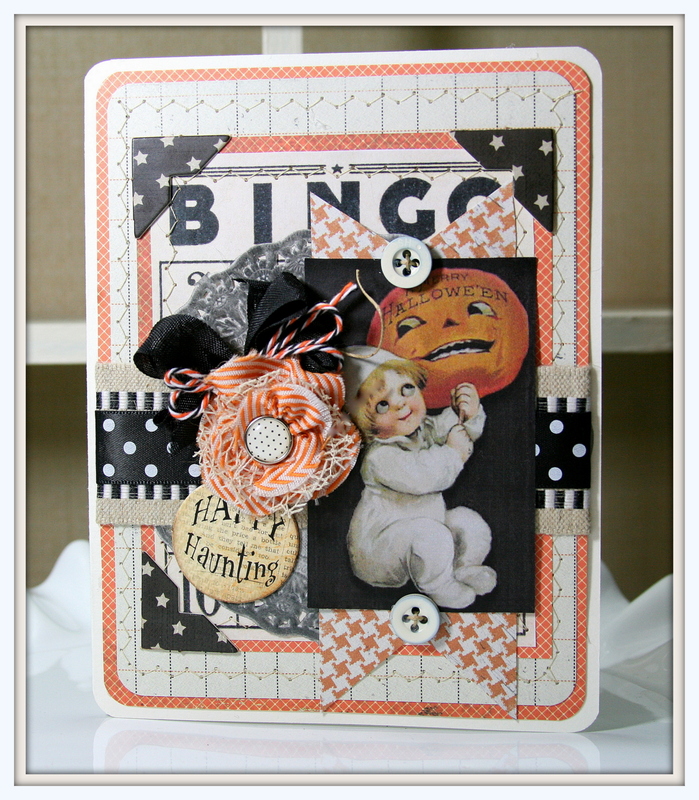 Isn’t this card sweet? I love the colors. 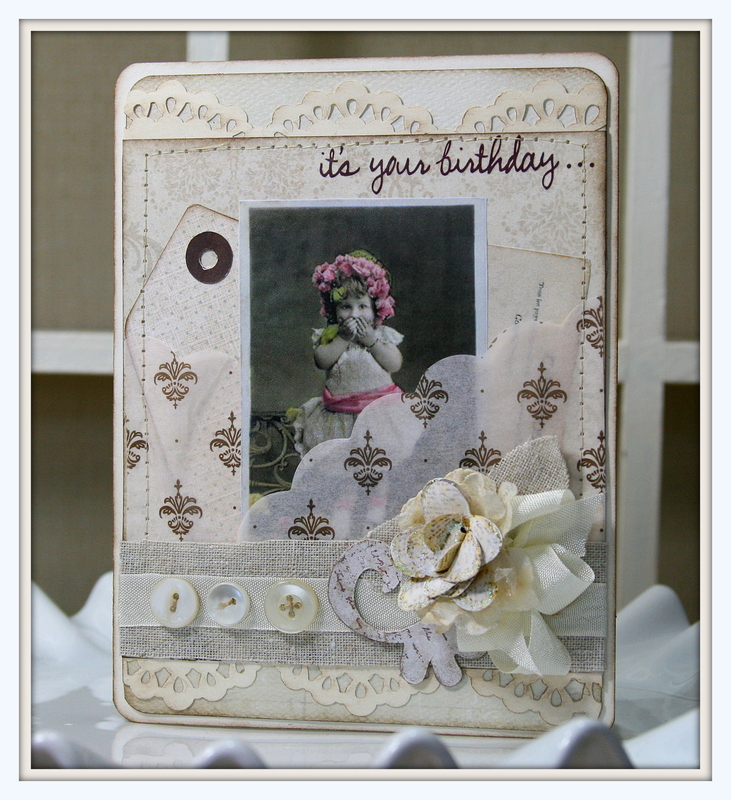 The paper is from Glitz as well as the die cut. 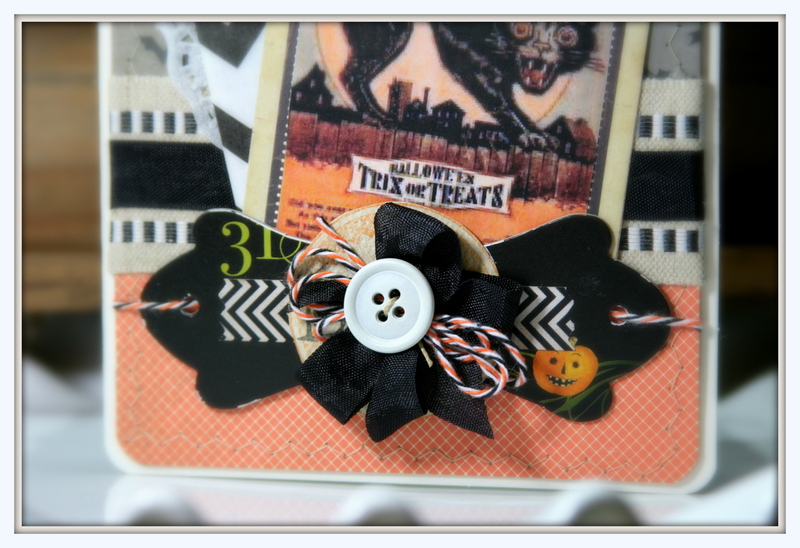 Poofy bow with button. 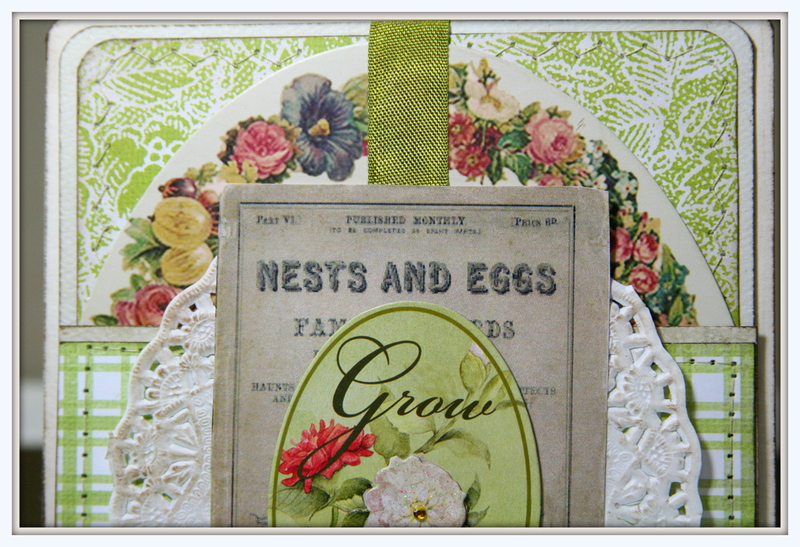 I added a lovely doily and inked up all the layers. 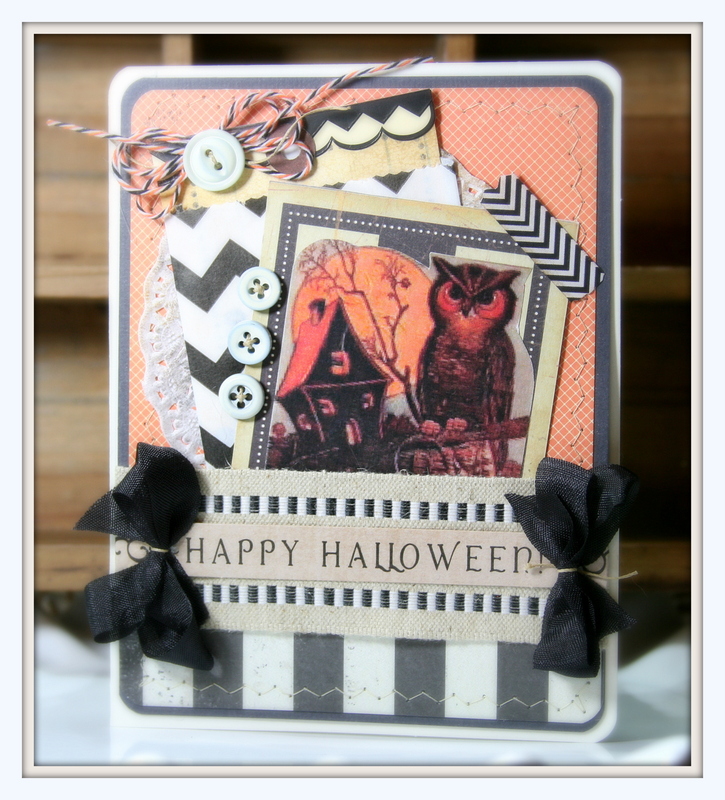 This Graphic Fairy image is a nice contrast to the brighter colors of the rest of the card. I took a little trip to carzytown with all these layers. This paper is from Pink Paislee. 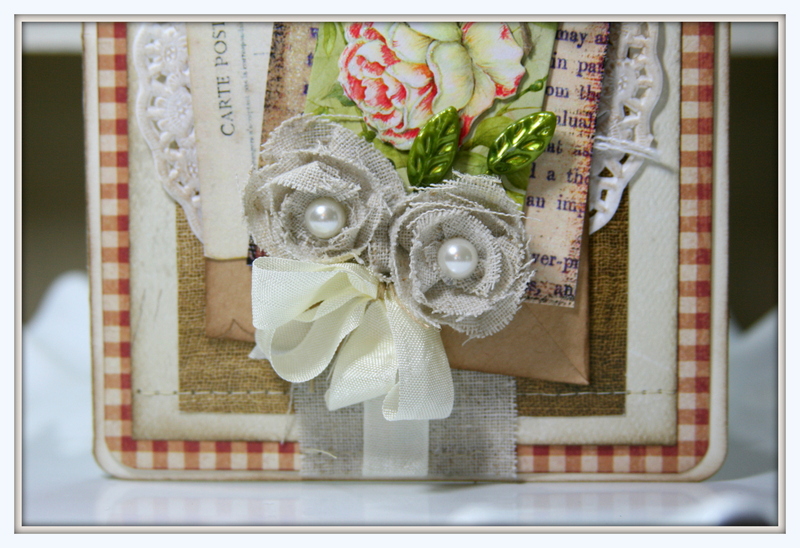 I like the look of the poofy ribbon bow squished in between the burlap flowers. Isn’t that a pretty brad?? See I told you there was a lot of layers. 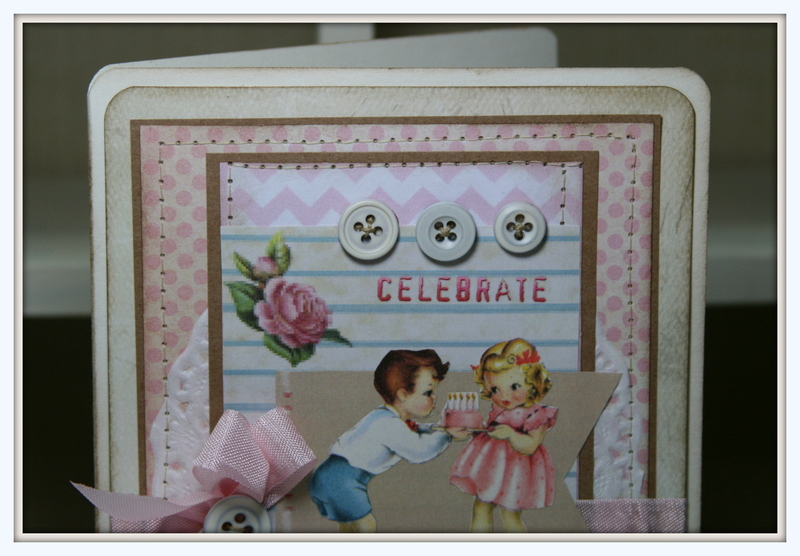 I added these sweet mismatched buttons and that was all the embellishing this card could take without getting too busy. Hope you all have a wonderful day and find some time to be creative. 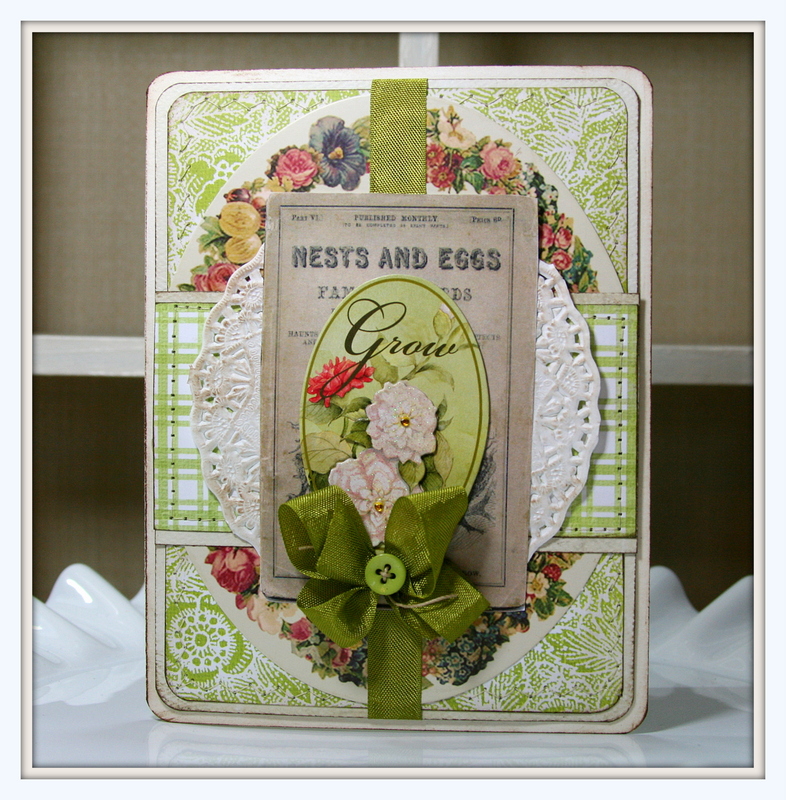 I just listed these cards in the Etsy shop. 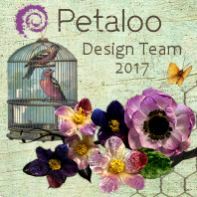 Click on the link to check out the details.